Many homeowners see the benefits of installing hurricane impact resistant windows and doors to keep their home protected in a storm. But some people find it hard to justify the cost of installation. If you are thinking about the installation of these high-quality windows, the best thing you can do is talk to an expert to get an estimated cost for your home. At Armored Dade Windows & Shutters, our goal is to help you manage your expenses and keep your home protected at the same time. Whether you are updating an existing home or building a new home that needs windows, it is essential to consider quality when you are making decisions. 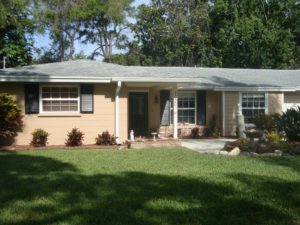 We offer high-quality hurricane impact resistant windows for homes in the coastal region of Florida, including Sarasota and the surrounding areas. Are Hurricane Impact Resistance Windows Necessary? Don’t be fooled into thinking impact resistant windows and doors are an optional feature for your home. If you live in an area that experiences hurricane force winds, such as Sarasota, you need to be proactive to protect your home. If high winds roll through the area and damage the windows in your home, you will be facing thousands of dollars in repair work to restore your property. Not only will the windows need to be replaced, but there is also a possibility you will need to repair other structural damage as well. Even though it might seem like your windows are just beautiful panes of glass to bring in the sunlight and offer a view, windows are also important to the structure of your home. When one or more windows are broken in a storm, weak points are created in the home that could subject it to more damage. A single broken window can cause a domino effect that could result in serious damage to the property. For example, if a hurricane comes through the area and you have weak windows, it possible that flying debris could damage the windows. As a result, the wind will blow into the building, which changes the air pressure inside. The wind needs to move outside, causing an upward pressure that will eventually damage the roof. When the winds are strong enough, they could pull the entire roof off the building. The best way to protect the quality of the roof is by keeping your windows covered to avoid the change in air pressure inside. How are Impact Resistant Windows Different than Basic Glass? Basic windows are designed with a single pane of glass secured to a frame that holds the glass in place. With impact resistant windows, shatter-resistant glass is installed using a heavy duty frame made of aluminum. Most impact resistant window designs will use two layers of impact resistant glass, as well as a middle layer of a membrane that increases the shatter resistance. Since there is a membrane sandwiched between the two panes of glass, your home can still be protected if the damage is done. If the outer layer of glass breaks, the plastic film in the middle will adhere the shattered pieces of glass to prevent large, sharp shreds. In addition to the hurricane wind resistance, these windows offer a long list of benefits that you can enjoy throughout the year. Most of the time, the weather in Sarasota, FL is comfortable and beautiful, so homeowners don’t need to worry about hurricane damage. But they can still enjoy their high-quality windows for other reasons. Energy Efficiency: High-quality windows improve the insulation of your home. When the air conditioning is running, these windows will decrease the temperatures that are leaked through the glass. As a result, energy usage goes down and you will notice an improvement in the comfort in your home. Property Value: What is the current value of your property? High-quality windows will have a direct impact on the equity available in your home when you sell. Noise Management: Block out the neighborhood noises with high-quality Even if your home is near a busy road or noisy neighbors, you can rest in the quiet of your home. UV Protection: These windows can be created using glass that is designed to protect your home from UV exposure. Even though these UV beams aren’t visible to the human eye, the UV rays can cause furniture and carpet to fade with time. Here at Armored Dade Windows & Shutters, we want to help you enjoy the benefits of high-quality windows in your Sarasota, FL home. If you are ready to learn more about the benefits that are available, come to our showroom at 8112 Cortez Rd W Bradenton, FL 34210. Feel free to contact us to setup a time for a free estimate: (941) 798-9010.